Mr. Ken F. Sawa, a Licensed Clinical Social Worker (LCSW), has served as the CEO/Executive Vice-President of Catholic Charities since 2003 and has been employed by Catholic Charities for 25 years. In 2008, Ken was selected as Social Worker of the Year by the National Association of Social Workers – Region F for his dedication to local families in need. In 2009, Mr. Sawa was invited to present at a Congressional Briefing in Washington, DC sponsored by Senator Kennedy’s Office on “Meeting The Needs of Families Living On The Back Streets of America”. In 2010, Mr. Sawa was inducted into the Hall of Fame by the College of Social and Behavioral Sciences at California State University, San Bernardino. Also in 2010, Mr. Sawa was bestowed the Pro Ecclesia Et Pontifice Cross, the highest honor given to a layperson in the Roman Catholic Church. 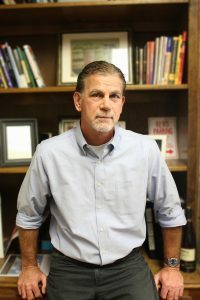 In 2011, Ken was elected the President of Catholic Charities of California representing the 12 Catholic Charities agencies in the state and advocating for the needs of the poor in Sacramento. Mr. Sawa is a long-standing advocate of the critical and unique role of non-profit organizations in local communities. Mr. Jesse Gonzalez joined the Accounting Office at Catholic Charities San Bernardino & Riverside Counties in 2011. Jesse holds a Bachelor’s Degree in Accounting and comes to Catholic Charities with many years of administrative management and accounting experience. Jesse currently serves as Director of Administration, having previously served as Accounting Manager, and continues to oversee the day-to-day accounting activity at Catholic Charities. 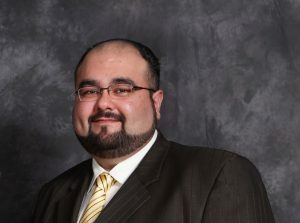 Mr. Gonzalez also oversees the areas of Human Resources, Risk Management, I.T., and Facilities Management. As a representative of Catholic Charities, Mr. Gonzalez also serves as a member of the Diocese of San Bernardino Lay Employees’ Pension Board. 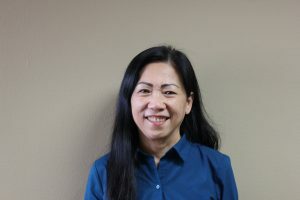 Ms. My-Hanh Luu has served as the Director of Refugee and Immigration Services for over twenty years providing legal services to immigrants and has over thirty years of immigration work experience. Ms. Luu is BIA (Board of Immigration Appeals) certified which entitles her to represent and advocate on behalf of agency clients directly to the USCIS (United States Citizenship and Immigration Services). Ms. Luu is well respected within the state of California and has been recognized for her knowledge and longevity in the field. She has an excellent reputation for providing competent services by other Immigration Directors within the Catholic Charities Network, CLINIC, and the State of California Department of Community Services. Ms. Kathy Hitchens joined Catholic Charities San Bernardino & Riverside Counties as the Director of Counseling Administration in 2013. 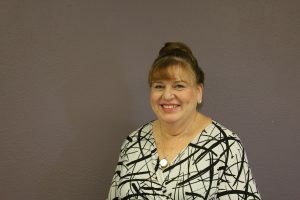 Ms. Hitchens comes to Catholic Charities with many years of valuable administrative and management experience implementing and developing new processes and systems to improve business practices. In her most recent position prior to joining Catholic Charities, Ms. Hitchens served as Assistant to the Associate Vice President/Chief Information Officer, providing a high level of business administration management at the University of Redlands. Ms. Hitchens holds a B.S. in Business and Management and a Masters of Business Administration from the University of Redlands. 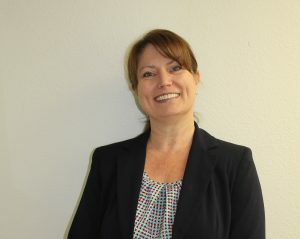 Ms. Belinda Márquez has served as the Director of Family & Community Services for Riverside County for 16 years. Ms. Márquez came to Catholic Charities San Bernardino & Riverside Counties from Catholic Charities Los Angeles where she worked for 17 years. Ms. Márquez directs staff and volunteers in offices in Riverside, Moreno Valley, Palm Desert, Indio, and numerous satellite locations. She is well-known by community stakeholders throughout the region, and she has contributed tremendously to the growth of Catholic Charities’ major food distribution programs in Eastern Coachella Valley. Ms. Márquez has significantly developed Catholic Charities’ presence in Coachella Valley and throughout Riverside County. 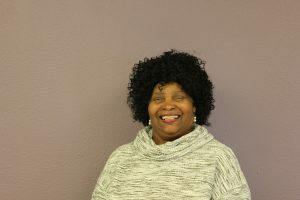 Ms. Beverly Earl has served as the Director of Family & Community Services for San Bernardino County for over 15 years and has been an employee of Catholic Charities for over 30 years. She is well known for her commitment to struggling families, has received numerous community awards acknowledging her service, and sits on numerous boards and committees advocating for families. During her tenure, Ms. Earl has been instrumental in training her staff and volunteers to become experts surrounding the issues of poverty, domestic violence, funeral briefing and grieving, disaster services, HIV/AIDS, hunger, and health care. She has expanded services to include holistic case management, food distribution, housing support to low-income families, and a senior food program. She is known for initiating and implementing innovative programs such as the development of community gardens and the “Hope in the City” Youth & Family Resource Center.